Keysight Technologies, Inc. has introduced swept source optical coherence tomography (SS-OCT) application options running at 1 GS/s (-SS2) and 500 MS/s (-SS1). The new options, now available on the U5303A high-speed data acquisition PCIe card, enable OEMs to obtain faster image acquisition by increasing sampling rate and A-scan rate. This allows for non-invasive, high-speed medical imaging in various applications, including ophthalmology, dermatology, gastrointestinal endoscopy, intravascular imaging, oncology and angiography. This real-time processing solution allows OEMs to develop their SS-OCT engine using the development environment provided, which includes a GUI and C++. Furthermore, the options support “up and down sweep” and “up-sweep only”, including improved trigger accuracy for targeting phase sensitive applications and a FFT phase readout. The new options also ensure improved SFDR due to new x4 (-SS2) and new x2 (-SS1) oversampling interpolation and guarantee SS-OCT synchronization for A-scan and B-scan trigger, enabling better image clarity and quality. Moreover, swept source maximum analysis depth is independent of the k-clock frequency, allowing adjustment of the maximum depth range being done by changing sample rate. Differences between the k-clock and OCT optical path can be compensated electronically with a programmable delay of ±64 ns. 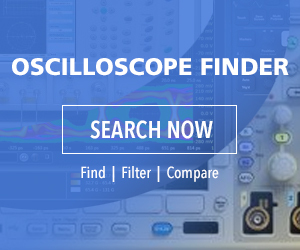 Both -SS2/-SS1 options are available on the Keysight U5303A, a compact dual-channel ADC card delivering high dynamic range and high effective number of bits (ENOB) for enhanced image quality. As part of the OEMs development tool environment, a dedicated OCT GUI with C++ API and Labview support are provided. The real-time SS-OCT processing engine was developed using Keysight’s U5340A FPGA development kit. OEMs also can develop their own real-time processing engine. This gives way to reusability from one ADC technology to another. Our hardware allows OEM to see smaller and deeper by preserving the signal integrity and detecting the smallest signals, whilst our complete offering minimizes risks with ease of integration and reduces time-to-market.